Another disgrace! | MABRAKE – Milton Abbot, BRadstone And KElly Action group. ← Hatherleigh – Sorry about the confusion! 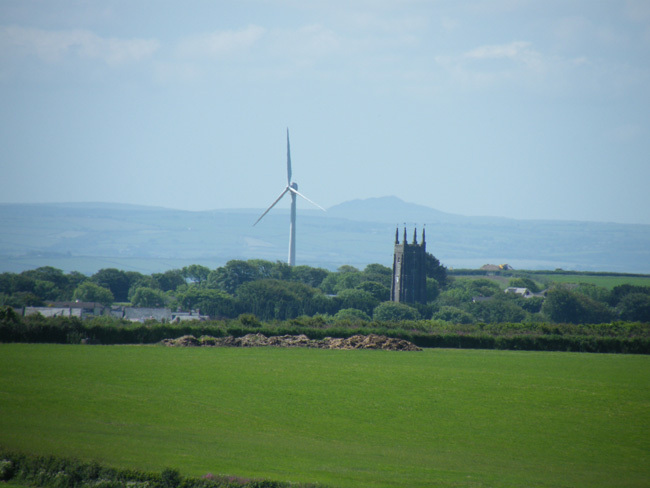 This photo shows the wind turbine built close to the Grade 1 listed Church of St James, Kilkhampton as viewed from the A39. 1 Response to Another disgrace! Absolutely disgusting. What is the point of English Heritage if not to protect heritage and spiritual icons.